It all starts with a change in attitude to gratitude. Being grateful is probably the best state to be in, or, fully appreciative of everything wonderful that there is in your life right now. And yes, before you bah-humbug away, there IS a lot to be happy about in your life, you just have to take a break and and notice. Its true! Sometimes we are so caught up in this mental war we have with regard to what should be happening rather than focusing on what is happening, and the good that it’s actually doing to us or those around us. It does sound a little tree huggy of me to say so and scoff all you want and then just stop scoffing and get down to a little writing. 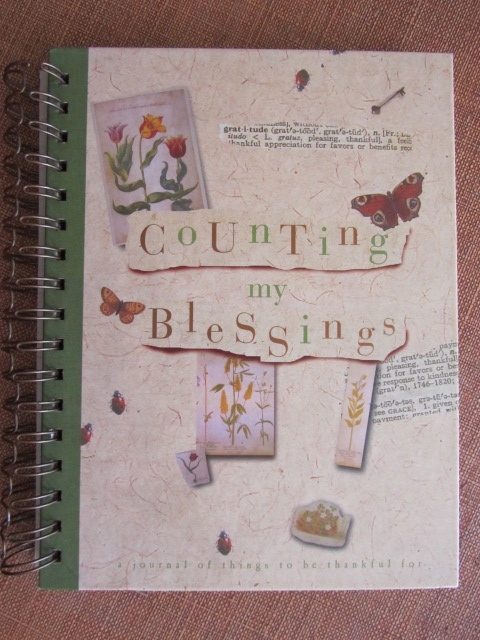 This journal called “Count Your Blessings” was given to me many Christmases ago and serves as a gentle reminder to keep the ‘tude towards gratitude alive and well. 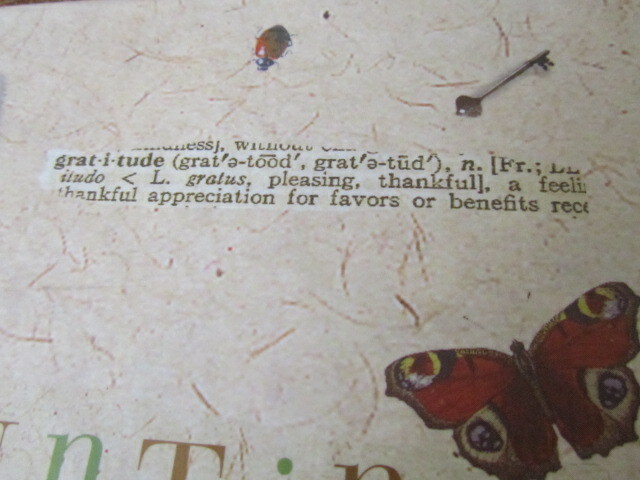 No matter how crap your day seems to be going, there’s gotta be something (in the case of this journal, five) that you are happy, grateful or appreciative about. Like what? You moan? Well, if you’re reading this on a laptop or a computer, then be grateful that you HAVE a computer, or better yet, that you know how to even READ. 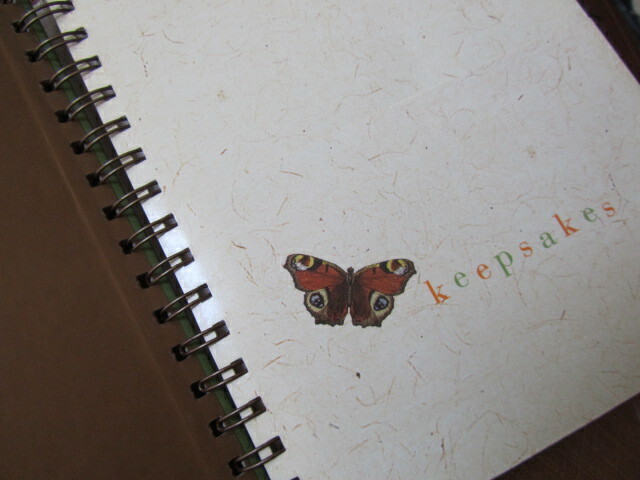 When I first got this journal, I was a little skeptical, I mean, how can you expect one to remember a couple of good things in one day, and in this case five a day? 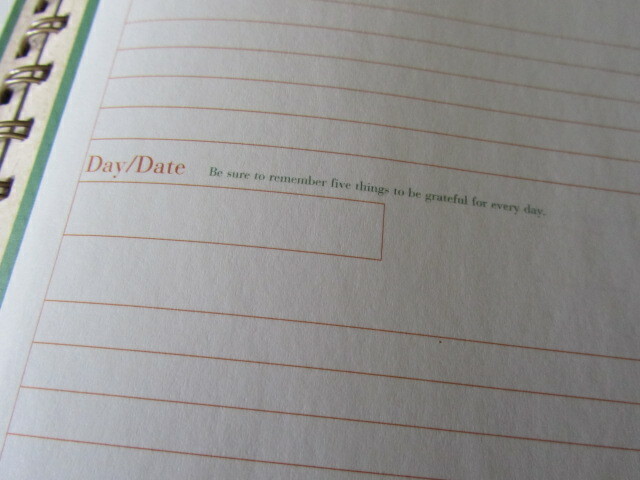 That must be one lucky person to have at least five wonderful things to be grateful for, but I decided to start anyway. 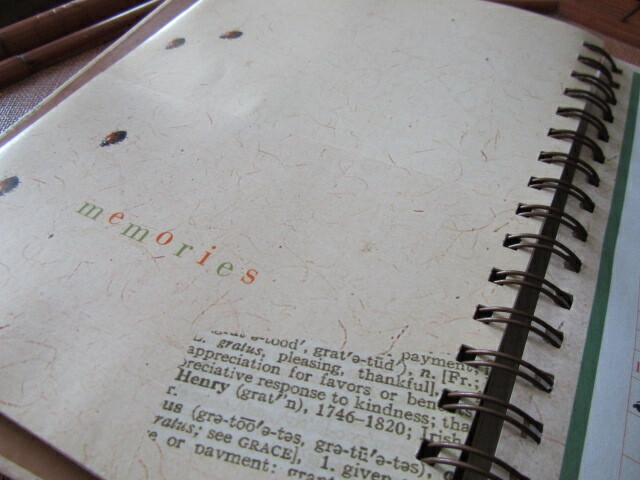 Part of the design of the journal were two pockets up front, one for keepsakes (pictures, letters, souvenirs) to further immortalize a memory of something (or someone) to be grateful for. was where I started to keep little notes and doodles that I made during the day (at my most bored) it because a little alcove of sorts, since I couldn’t bring the journal everywhere, I would write what I was grateful for on scrap paper and then transfer it over later in the day. If I got home late, I’d just tuck that little piece of paper in the pocket and get to re-writing it in the morning. The habit of writing something to be thankful for (if you can break it up to 2 in the morning, 1 mid-day and 2 before you sleep) really made a difference in my overall outlook of my life. Yes, there were days that everything seemed to break down, people were late, food tasted lousy or bills piled up, but, as I changed my attitude whenever I opened up the journal to write, all of the negative energies attached to those “unlucky” events fell away.